our society today. Every year we see more degraded landscapes, devastating storms, droughts and floods, causing significant loss of life and damage to infrastructure. Climate change is no longer a threat in the distant future and unfortunately the poor suffer the most. Rising Hope Foundation for Change (RHFC) has long been aware of this and offers some years of greening experience to address some of these issues, through internationally recognized programs. These programs offer opportunities for climate change adaptation and response, as well as Corporate Social Investment (CSI), Socio Economic Development (SED) and Enterprise Development (ED). 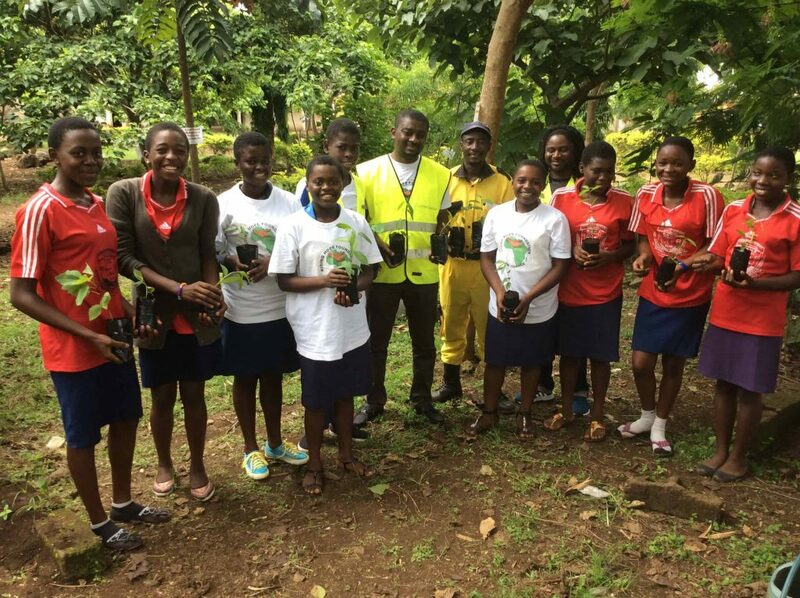 Rising Hope Foundation for Change (RHFC) is striving to bring one (1) million trees to the people of Cameroon and Africa in general through her trees for triple effect project. In partnership with communities, schools, universities, local non-profits and municipalities, RHFC will bring fruitful trees and horticultural trainings to areas affected by deforestation, flood, violence and poverty. This is a successful and effective program that greens, educate, offsets carbon emissions and transforms schools, communities, universities, municipalities into healthier, more sustainable environment. This project came as a result of the numerous applications received from disadvantaged community groups, schools in barren, dusty town ship in Cameroon. This trees will bring sustainable nutrition, income to struggling families and communities thus contributing to food security and training to provide information on planting and aftercare.